In Part I of this test, we discussed the importance of understanding the science behind camouflage. By way of review, camo is intended to help one “blend in” with his or her surroundings by reducing the appearance of the human silhouette. This is accomplished through one of two pattern options: macro/micro patterns and photo-realistic patterns. Macro and micro patterns (Fusion, ASAT, Vias, Verde, Optifade, etc.) are build on the same basic principal: no discernible pattern means less identifiable shape. The use of asymmetrical design aids in breaking up the human silhouette and helps you go undetected (theoretically). Photo-realistic patterns (Mossy Oak, Realtree, Kings Camo, etc.) 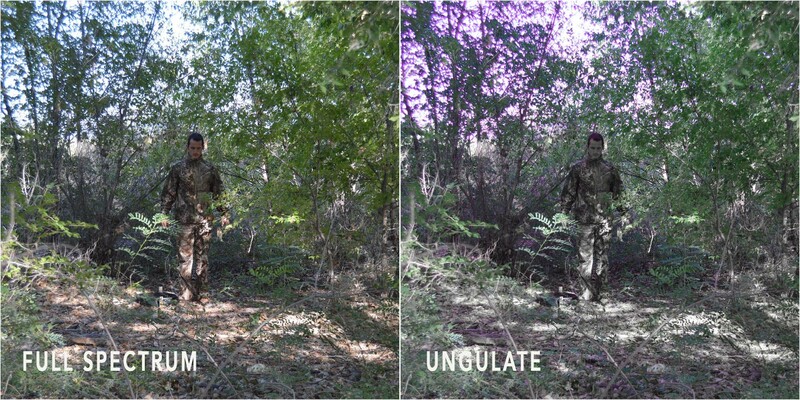 use multi-layered images to simulate the forested background in which you are hunting. Recently, I went out with apparel that represented 5 of the most popular camo patterns available on the market. (While I tried to include as many patterns as possible, there were some that could not be represented in this test due to the fact that it would become overwhelming very quickly. Notable mentions not included are: Predator, Under Armour Ridge Reaper, Kryptek, Multicam, and Kings Camo). I wore each pattern in three different environments: forest, seclusion, and open country. 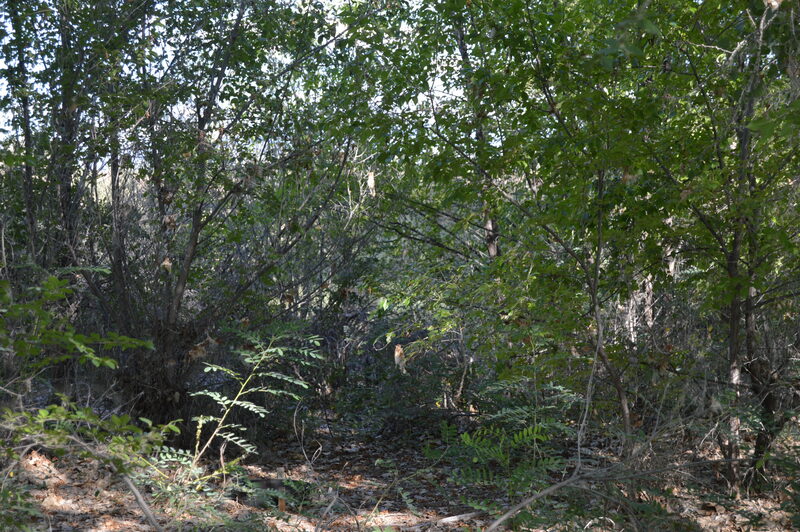 In the forest environment, light transmission coming through the trees served to reveal each patterns characteristics in uneven light exposure. 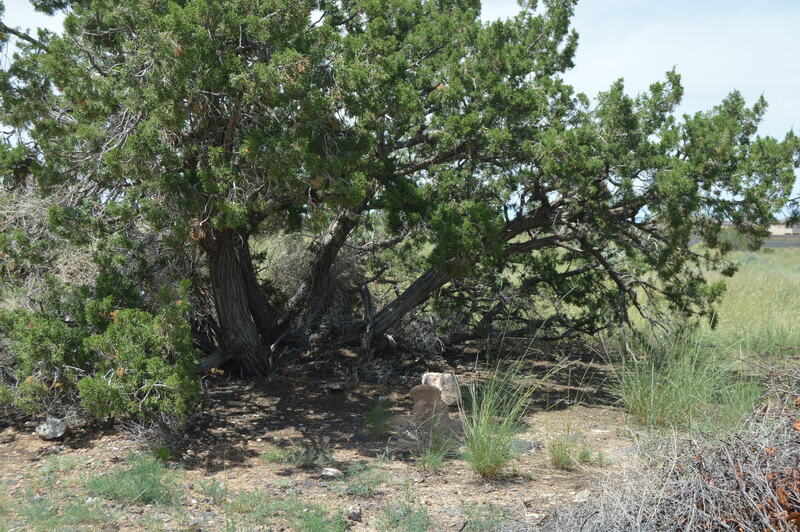 In the seclusion background, I hid against a juniper tree to simulate the pattern in a shaded area with foliage aiding in hiding your frame. 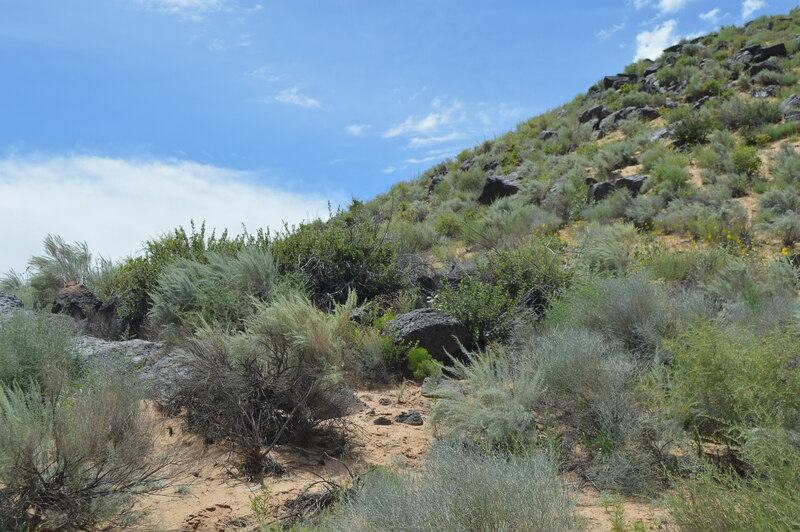 In the open country, the goal was to see how the pattern performed against a hodgepodge of elements (rocks, bushes, dirt, etc.). Depending on light transmission, colors will appear different. 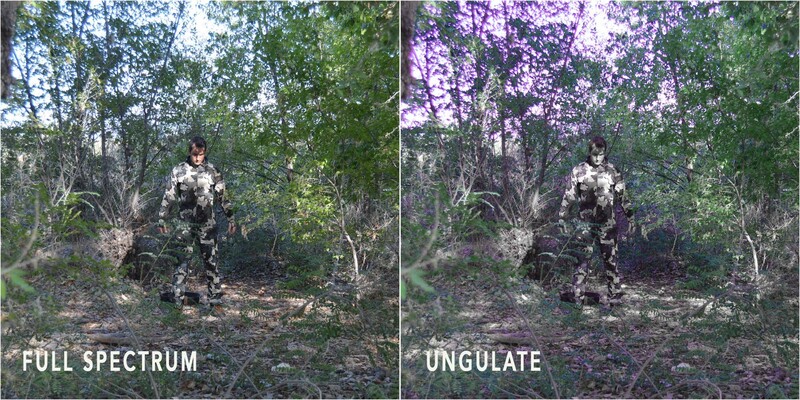 In the pictures below, certain colors may appear different in one environment from another due to varying levels of shade and direct sunlight. 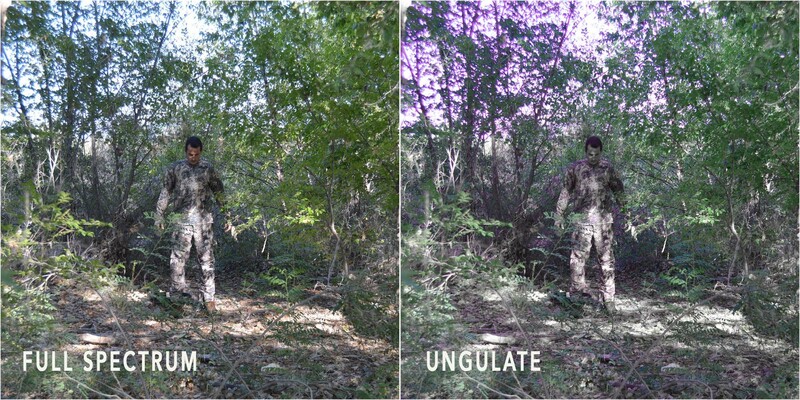 It is no different when you are out hunting; light and shade will affect how you appear to animals. While it might not look blue, grey is based with blue therefore it is susceptible to potentially standing out to a species that sees blue more vividly than humans. 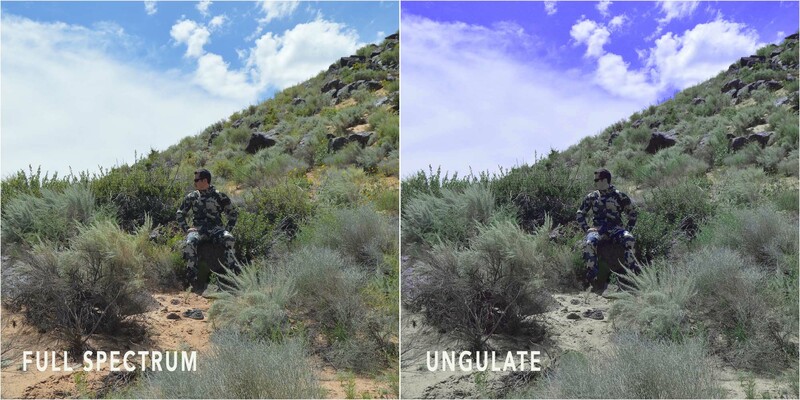 Optifade performed well in every environment on the full-spectrum side of things. The macro-pattern blended well in direct sunlight and shade. To the human eye, this pattern does a great job. However, due to the grey-based pattern, when the color spectrum is altered to reflect an ungulate’s vision, the grey appears blue in direct sunlight and jumps out. While it is debatable to what extent this would dissuade a deer or elk from sticking around, it is at least something to consider. ASAT is a unique pattern that consists of varying shades of brown. It handled inconsistencies in light transmission well and was only mildly discernible in the ungulate view. The shortfall of this pattern though is it’s unique layout; while it might blend well in some environments, it might stick out in others. 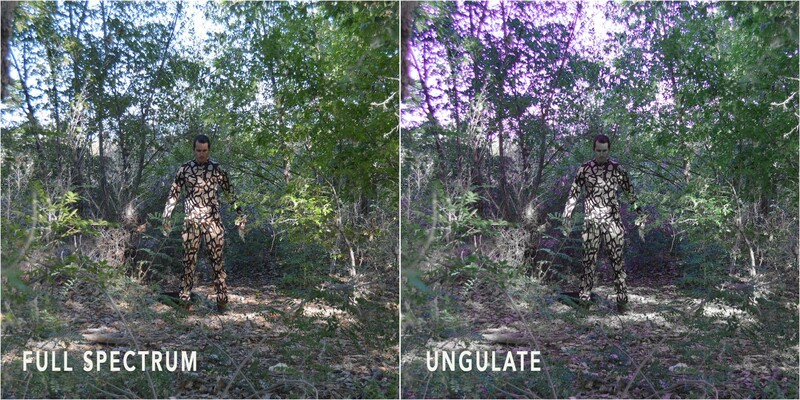 This might be problematic for hunting a species that sees the entire color spectrum. It does a good job in breaking up the human silhouette though. 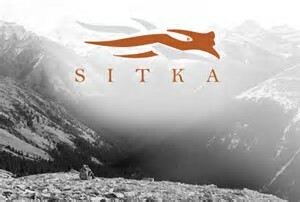 Vias was developed for mountain hunting, but it is a very popular pattern among western hunters. The pattern appears to be intended for blending in with rocky and/or snowy terrain above the tree line. 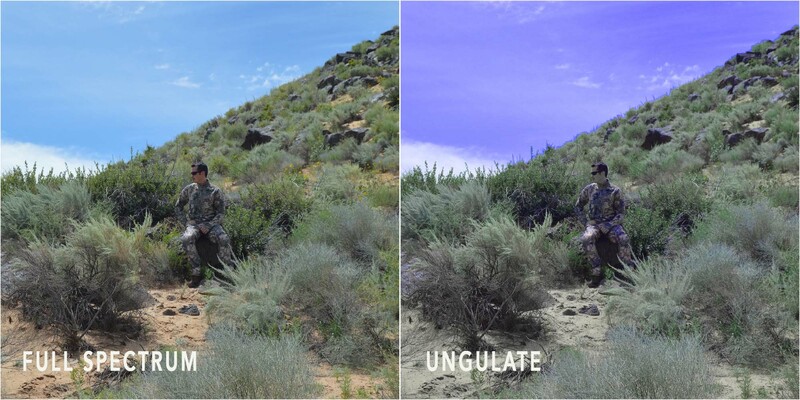 I have talked to many hunters who believe that the pattern is good for breaking up their silhouette, even in highly vegetated areas, so the color palette for the pattern bothers them little. Well, the ungulate view at minimum gives them something to think about. Vias uses grey and blue in the pattern and the blue really jumped out. Again, all settings and adjustments are the same as every other image in this test… It is just that drastic of a difference. This is a bit of a red flag for me. However, based on its intended purpose, I think it would do a fine job at what it was intended to be used for – hunting sheep and goats above the tree line. 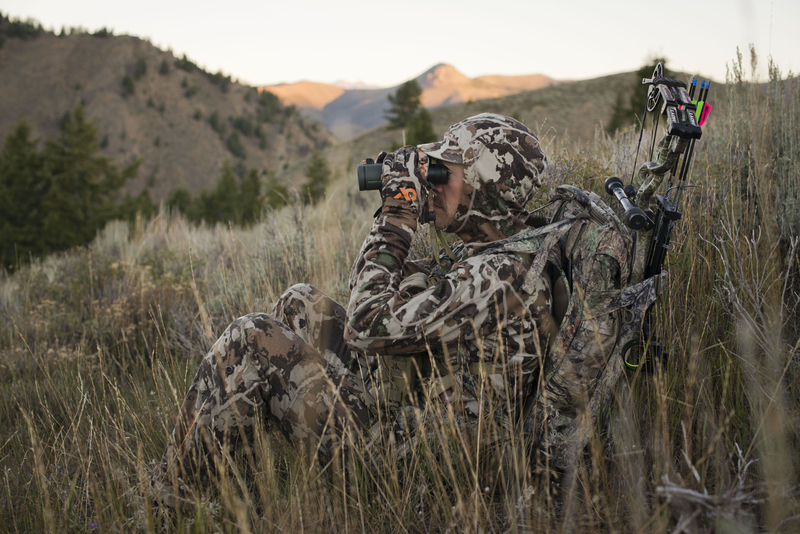 All that aside, many hunters are successful while using Vias so that helps its case. The newest player among these patterns is Fusion, developed specifically for First Lite. Fusion did well in all tested environments due to the muted earth tones and chaotic pattern. Light transmission did not affect Fusion as much as other patterns, but it did make the contrast in colors “pop” more, causing the human form to be more visible. However, there were no glaring issues with this pattern. This pattern would be well-suited for any species as well as any environment that naturally has browns and/or greens, whether on the ground or in a stand. In snow… well, it wouldn’t do so great. Realltree, a favorite among hunters for decades, has a lot going for it: varying colors, depth of pattern, etc. As far as photo-realistic patterns go, Realtree AP is my favorite as I believe it is the most versatile of all of them (Max-1 is pretty good too). 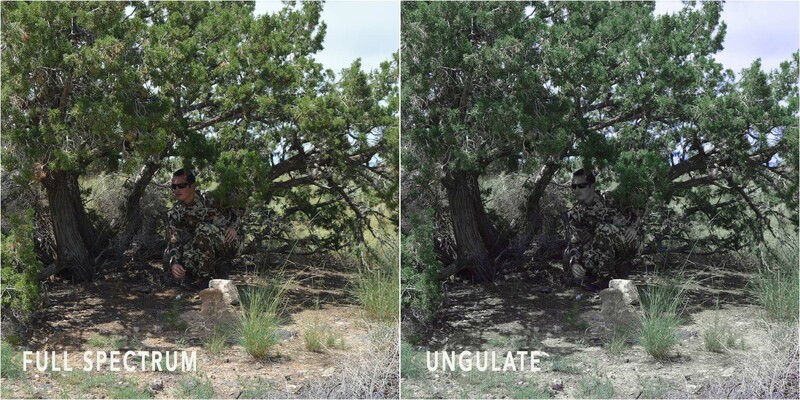 Realtree AP performed well in the shade and had zero issues when it came to the ungulate view. 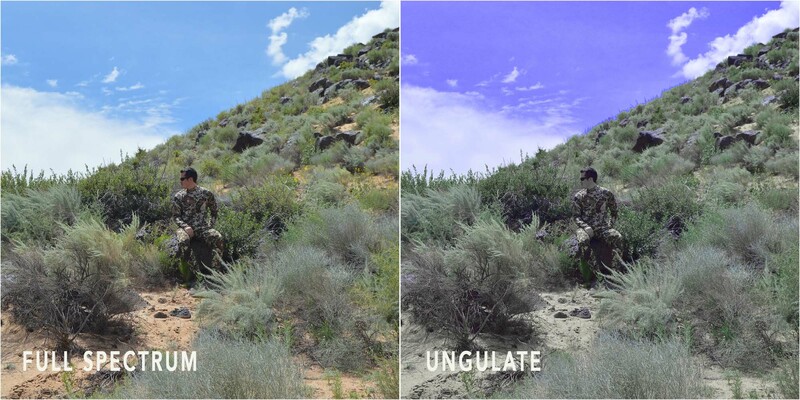 Light transmission changes did cause the pattern to appear substantially different across environments though. In the forest environment especially, this pattern did zero favors for hiding the human shape. 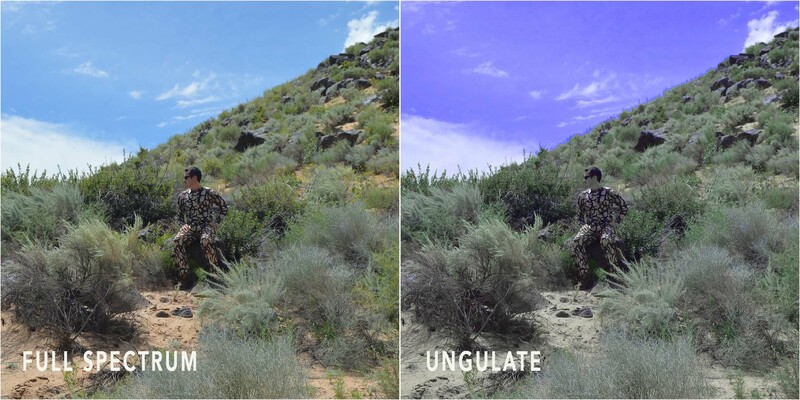 Realtree is very effective for tree stand hunters… and it seems that is where it is best-suited. As stated before, there is no one pattern that will outperform in every environment. Instead, this test was intended to reveal which pattern is best suited for use in the most environments. For me, Fusion is the pattern that stands out as the winner. Based on this test, I feel that Fusion leaves the least amount of variables on the table and does exactly what I need a camo pattern to do. It doesn’t use any grey (and therefore does not suffer from appearing blue), it has no discernible pattern (thus breaking up the human silhouette), and it blends well with the surrounding environment thanks to the muted earth tones that make up the pattern. 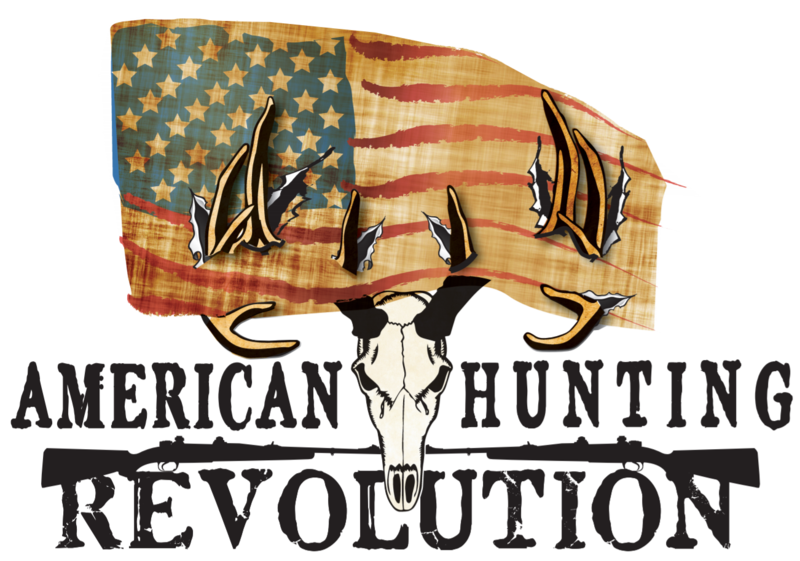 The camo debate will rage on long after you and I are done hunting so this article will no doubt start more debates than it will settle. However, my goal in writing these articles is to give you, the reader, more information to make the best decision for your needs. Nice job. I would be interested to see how just pain non-camo earth tones work as well. Even though I own pieces of each of the camo patterns in the article, I’ve never felt camo was truly necessary. It would be interesting to see how they looked in the same environment as the other pieces. That is a great point that camo is not always necessary. Sometimes, depending on your environment, a solid color might blend well, so long as it is a color that blends and does not stand out. I own quite a few earth tone solids for this reason. 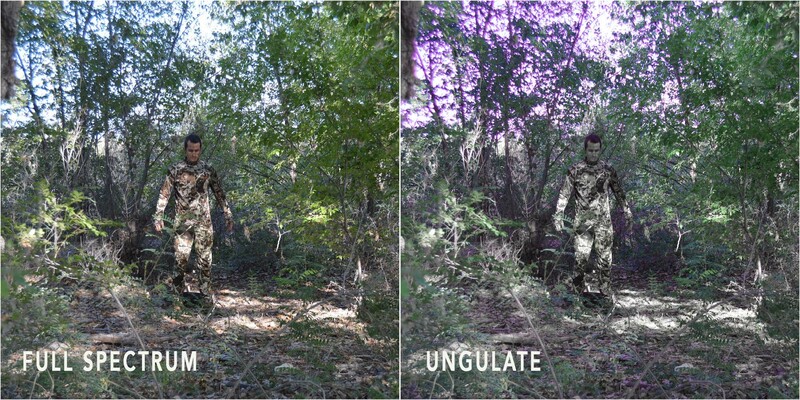 It would be interesting to see how the new Under Armour Ridge Reaper and Kryptek camo would work. Both are earthy tones with Macro and Micro patterns. Agreed. I wish I had the time and resources to include other patterns in this test. Perhaps a second round of patterns could come later. However, what I will say about Kryptek is that based on the nature of their patterns, I would be concerned that it might begin to lose its depth with any distance and it would become just a dark blob on the horizon. Ridge Reaper is an interesting pattern with varying colors, but I would be leery with the greys that are visible in some of their patterns. I would be interested to hear your opinion on the Predator Camo patterns, mainly the spring green and the brown deception. Reading the article, I dont believe the fall gray would fare that well ith the blue tones in the gray. 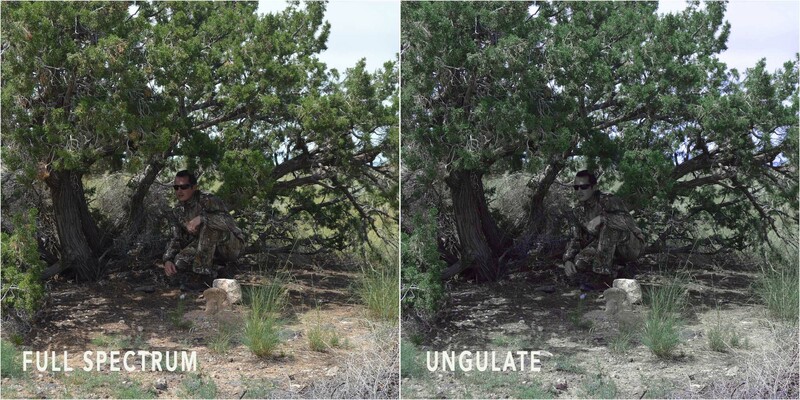 At first glance, the Predator patterns appear to have been developed with the hunter in mind, not the prey. The very fact that the Predator site states that the pattern with the most grey is intended to be used for Elk and Deer gives me pause. However, the colors of Brown Deception and Spring Green would blend well in the right surroundings. That is the same reason why I landed on Fusion; greens and browns together in a macro/micro-pattern are time and again the most effective mix. 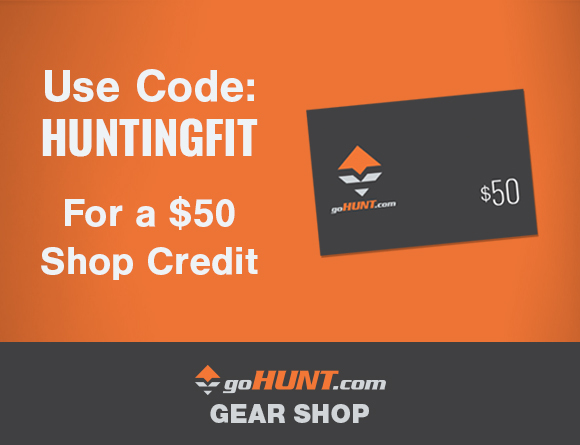 Now if someone would only loan me $1000.00 so I could afford some first lite gear…. No kidding. The struggle is real. Do you think the type of material used, synthetic vs. natural, has any visual effect? There is most definitely an affect, however it is usually minimal. Synthetics absorb color dye differently from merino so the colors will have slight differences in brightness and hue, however the difference is not significant enough to matter from the animals perspective. It really comes down to what your needs are when it comes to materials and from there you can be confident. I have an article about Merino vs. Synthetics that might help as well. Which optifade pattern did you test? Elevated or open country? Thanks! Optifade Open Country. Thanks for asking! I’d be very interested on your take of Cabela’s O2 Octane if you ever do a follow up article. I will absolutely keep that in mind. Thanks for the feedback. It’s one of my favorite patterns. They just don’t make good material/gear. It would have been nice to see what it looked like from the ground (as the game animal) looking up at a treestand with the sky behind the the hunter. Great idea. I’ll absolutely take that into consideration for my next comparison. Thanks for the feedback.